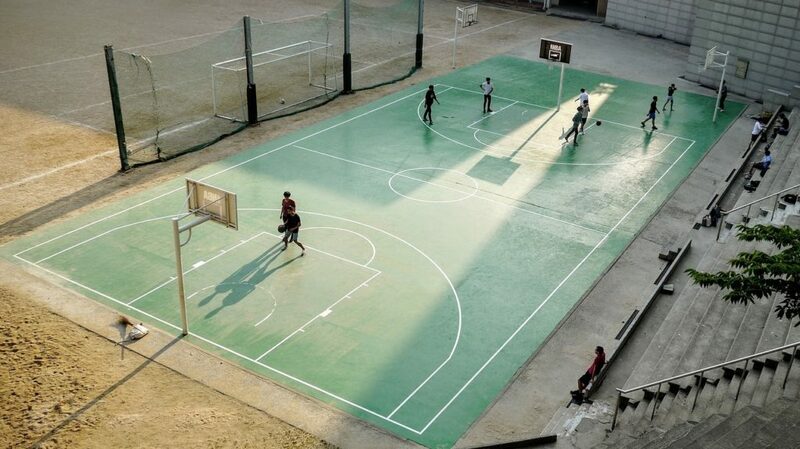 Nothing beats having your own in-ground basketball hoop. They’re super sturdy, rebound the ball nicely and won’t get knocked over in the wind. However, they can be a bit tricky to install. 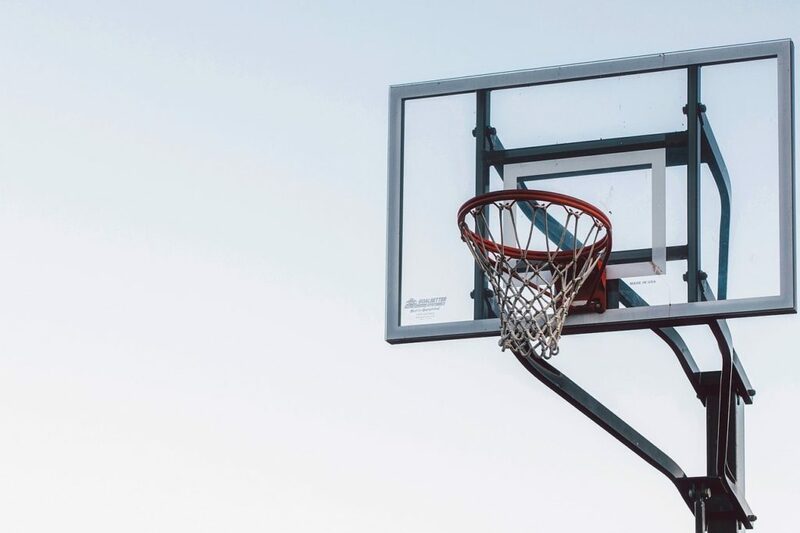 In this guide we’ll show you how to install your very own basketball hoop. You probably already know where you’ll be installing your basketball hoop. Underground pipes: are there any gas/water pipes in the ground you might accidentally dig up? Call 811 to check. Playing area surface: is the area in front of the hoop a smooth but hard surface (like concrete) suitable for playing basketball? Playing area size: is there enough room to play basketball on your driveway? Playing area availability: will the court be free or will cars be parked there often? Backboard misses: are there any windows or other breakables behind where the backboard will be? Will missed shots go over the fence? Ground markings: will you be painting a ring and a free-throw line? Is the surface suitable for this? 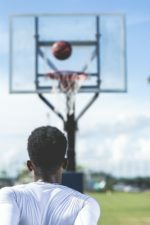 The manufacturer of your basketball hoop should let you know what dimensions your hole needs to be and how deep it should go. Following their recommendations, make a square outline using your two-by-four wood planks, attaching the wood using screws or glue. The internal width and length of your rectangle/square should match the recommended dimensions given in the instruction manual. Next, dig out a shape a few inches deep that matches your wooden guide in the ground where you want the hoop to be. Place your outline in the ground so that it sits flush with the surface. Ensure that the wood is positioned correctly – it should be parallel to the court baseline. Now you can dig the hole down to the required depth. Remember to make sure that the sides match the wood outline you’ve laid down. Most basketball systems have a rebar-mounted anchor which you push into the concrete after it has already been poured into the hole. If this is what you’ve got, mix up your concrete and fill the hole up to ground level, which should be level with the top of your wood plank outline. Agitate it regularly with your shovel to clear any voids as you pour. Once the hole is filled, push the rebar into the concrete, making sure it’s roughly in the middle of the square. On the other hand, some basketball hoops just have a single pole which you pour the concrete around. If you’ve got one of these, affix the backboard to the pole using the included instructions (assuming you’re required to do this beforehand – you might need to do it after the pole has been raised instead). Next, have one or two people hold the pole upright in the hole while you pour the concrete, agitating it with your shovel to remove any air pockets. Once you’ve installed your anchor/the pole and you’ve poured enough concrete to reach ground level, smooth the concrete over with your trowel. Check that the pole/anchor is parallel to the proposed baseline of your court and then ensure that it’s level. Once you’re certain that you’ve got the pole/mount in the right place, clean off any excess cement with a wet sponge or cloth and leave it for 24-48 hours to dry. Check the mount or pole every hour or so for the first few hours to ensure that it isn’t leaning. If it is lopsided, adjust it so that it’s level. Once the concrete’s dry it’s time to raise the pole if your basketball hoop has a separate anchor. Every system is different, so read the instructions manual to find out how to do this. Similarly, if you’ve just concreted the pole into the ground but haven’t attached the backboard, grab a ladder and a helper and go do this now. Be cautious on the ladder and follow the manufacturer’s instructions carefully – we don’t want a smashed backboard. This isn’t strictly necessary, but you can paint basketball court lines near your hoop if you like. It’s best to use a 4″ roller and painter’s tape to mark out the lines. Be sure to pressure-wash the court before beginning – you can also use concrete primer if you’d like.